WHEN soul jazz trio the Hub Kings sets up for a gig, people sometimes ask, quizzically, Who’s your bass player? Founded by New Brunswick open mike veterans, the instrumental group consists of Jonathan Tristram on the Hammond organ, “Bongo” Dave Smela on drums and percussion, and Kevin Hildebrandt on guitar. Once the Hub Kings start playing, however, the audience catches on to the fact that Mr. Tristram tackles the bass line. Developed in the late 1950s, and perhaps the most popular in the mid- to late- ‘60s, soul jazz was a development of hard bop, with origins in blues and gospel. 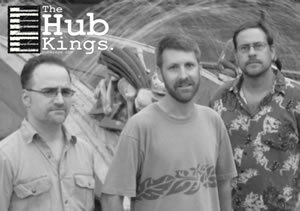 The Hub Kings’ members write music that draws on a number of different influences, from the classic style of Booker T and the MG's to more contemporary artists like Medeski, Martin & Wood. “We do mostly original music, but we certainly pay homage to the classic songs of the jazz organ combos,” Mr. Tristram says. 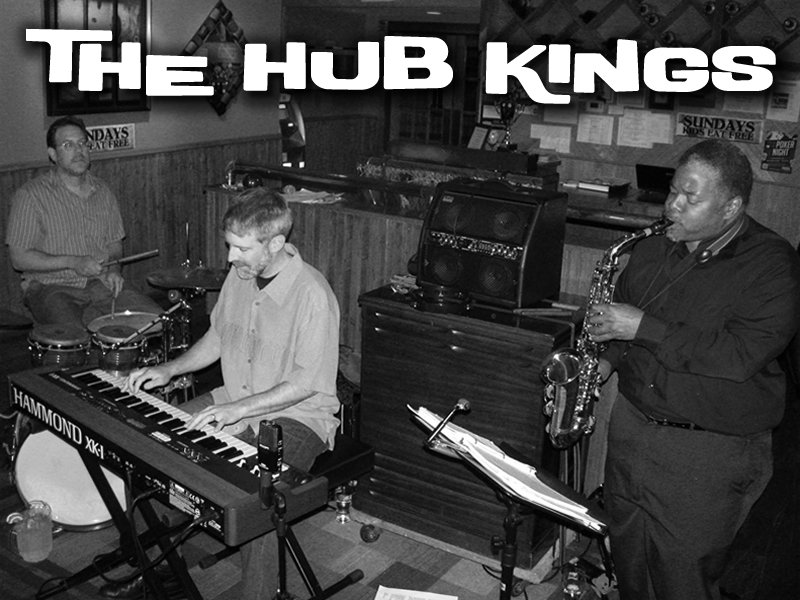 The Hub Kings will perform a set of mainly straight-ahead jazz at Saltwaters Seafood in Somerset May 22. The fresh seafood and Southern-style cuisine restaurant offers live music every weekend. The trio also will perform at the Downtown Freehold Gazebo Series June 19. Born and raised in the suburbs of New York City, Mr. Tristram began his piano studies at age 8. When he reached senior year of high school, Mr. Tristram picked up a guitar that had been lying untouched for years in the family attic. The guitar quickly became his new musical passion. “I find the relationship between the hands and the strings pretty key,” he says. Although he still loves the guitar, Mr. Tristram says it’s nice to return to the piano and the Hammond organ, in both composing songs and playing with the Hub Kings. Mr. Tristram’s musical interests expanded to include the world of studio engineering and producing, and he graduated from the Manhattan Recording Workshop in 2000. Mr. Tristram does the initial writing for the Hub Kings in his recording studio, coming up with a rough demo of how he envisions the song will flow. Much of the influence behind Mr. Tristram’s compositions comes from collecting and listening to jazz records, many that are out of print, that he finds at places like the Princeton Record Exchange, Vintage Vinyl Records and Curmudgeon Records. In particular, he cites musician Jimmy Smith, who helped popularize the Hammond organ, as the artist who turned him on to soul jazz. ”I remember a day many, many years ago — it was a dark night and I was driving and listening to WBGO and Jimmy Smith’s 10-minute-plus piece called ‘The Sermon’ came on,” he recalls. “I got home and the piece was still playing, so I quickly ran into the house, and turned on WBGO to find out who it was.” The song opened Mr. Tristram’s ears to a new style of music, and it’s stuck with him ever since. The Hub Kings are coming with their new instrumental Mondo Lounge sound. It's mondo and it's loungy, but it's also so very Memphis soul-y, thanks to Hub King Jonathan Tristram's percolating Hammond organ. "We're looking for that late '50s, early '60s keyboard sound," said Hub Kings guitarist Rob Jones. "It's a four piece (group) and the keyboard produces the bass, kind of like the Wes Montgomery organ trio. There's a lot of that — we're coming out of the jazz idiom." Jazz, perhaps, but listeners will also hear echoes of the great Memphis recording group Booker T and the MG's in the Hub Kings sound. "We're very inclusive," Jones said. "We're into Soulive, Robert Walter, the Greyboy All-Stars — some great bands and greasy beats — those guys are our bread and butter." The Hub Kings are celebrating the release of their debut CD, "This Way," tomorrow at Doll's Place in New Brunswick. The band will start at 9 p.m., and they're looking to be your background music or main groove thing. "We're just trying to do something a little bit different," Jones said. "We don't fly off the handle into free-form jazz . . . It's something traditional, rooted in the blues. There's definitely a rock-pop sensibility and it's all coming from a place that's not a super departure for us. We're trying to embark on something a little more in the traditional realm in creating the Mondo Lounge sound." The Hub Kings are something of a New Brunswick supergroup with all members bringing lengthy resumes to the table. Guitarist Jones of New Brunswick was in Acoustic Grooves and Overlap; Drummer Bongo Dave, Piscataway, is a vet of Overlap, Akasa and a few other bands along the way; Sax man Hollywood Ben Chapman, Budd Lake, was also in Overlap and Hammond maestro Jonathan Tristram, Metuchen, made his name locally for his guitar playing. "Now it's a different sort of flavor," Jones said.